FINALLY - there is a Chief Justice of a state Supreme Court ON RECORD who questions the eligibility of Barack Hussein Obama! Hugh McInnish and Virgil H. Goode, Jr. The crux of the matter at hand was to answer the question: Does the State of Alabama have statutory obligation to "vet" the qualifications of a presidential candidate before placing that name on the ballot in Alabama? The Basic Ruling (paraphrased): Though, perhaps, the qualifications of this current president should be examined, (based upon the evidence brought before the court) the State of Alabama does not have the statutory authority to conduct such an investigation. There currently is no legal mechanism in place in Alabama for the state alone to determine the qualifications and eligibility of a candidate for president who makes it to the Alabama ballot through the certification process of one of the national parties. Obama's Eligibility Attorneys Have Used This Argument Before! 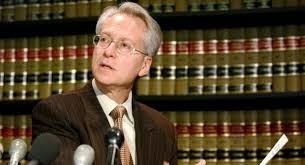 In an eligibility case in the State of Florida, brought by attorney Larry Klayman in 2012, Obama's attorneys actually argued that the States did not have the authority to determine the eligibility of a presidential candidate who made it to that state's ballot. An excerpt of a WND.com news story on that case reads as follows: "Obama’s attorneys told the judge that other courts have decided that courts should not make such decisions and the process is better handled by Congress. They said state courts especially are not suited to making a decision on the eligibility of Obama. PPSIMMONS NOTE: Note that even the Obama attorneys admit that Congress is the one that is Constitutionally ordained to make such decisions of eligibility. This is what Carl Gallups, Mike Zullo, and Sheriff Arpaio have been saying from the beginning. Gallups has been proclaiming this fact for over five years on his radio program and in print here at PPSIMMONS News Network. Gallups claims the Constitution gives Congress the official responsibility of conducting such investigations. So far, several federal and state courts have backed up Gallups' position. Yet - to date - not a single congressman has even begun the Constitutional process to vet the qualifications of this president. And this is despite the fact that Congressional Research Service issued, in writing, a declaration that Obama was never vetted by "anyone." Investigator Mike Zullo says: "It is clear that the argument here is the lack of statutory provision giving the Secretary of State the legal authority to conduct an investigation to verify the legitimacy of a presidential candidate to be placed on ballot of the respective states. There clearly is a lack of statutory authority and legal mechanism in place for a Secretary of State in any of the fifty states to conduct that type of investigation. This Alabama Supreme Court adjudication in no way reflects the question that is really at hand - the authenticity of the document provided to the public of proof- positive that Mr. Obama was in fact born on us soil thus fulfilling the "soil requirement" to be eligible to hold the highest office in the land." Zullo continued, "The challenge before the American people going forward to prevent this type of atrocity form ever happening again has to be the creation of legislation providing legal authority to empower the Secretary of State in order to fully ascertain the most vital information of a candidate's qualifications, and to have the legal authority to require the one document that every American citizen gets as they draw their first breath - an official state birth certificate free from anomalies, errors and questions." "(Chief Justice Moore concluded in his dissenting opinion) that the Secretary of State has an affirmative duty to investigate the qualifications of a candidate for President of the United States of America before printing that candidate's name on the general-election ballot in this State. Although logically the Secretary of State,being the chief elections official of the state,should be vested with such a duty, under our present constitutional and statutory framework addressing elections, including presidential elections, not only is that not the case, but the Secretary of State would be bereft of written authority for such an action and ill equipped from a practical standpoint to carry out such an important duty." 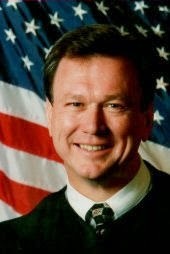 Chief Justice Moore's dissenting opinion is extremely lengthy - but he goes into an in-depth explanation as to why he believes that State of Alabama did, indeed, have a responsibility to vet the presidential candidates and went into a detailed analysis of the spurious information surrounding the case of this particular president and especially the Natural Born Citizen clause of the U.S. Constitution. Read the entire decision HERE, as well as all of the opinions. We urge our readers to especially pay attention to Chief Justice Moore's opinion. This is the FIRST official court opinion regarding the eligibility details of the man who is currently sitting in the White House in the office of president. 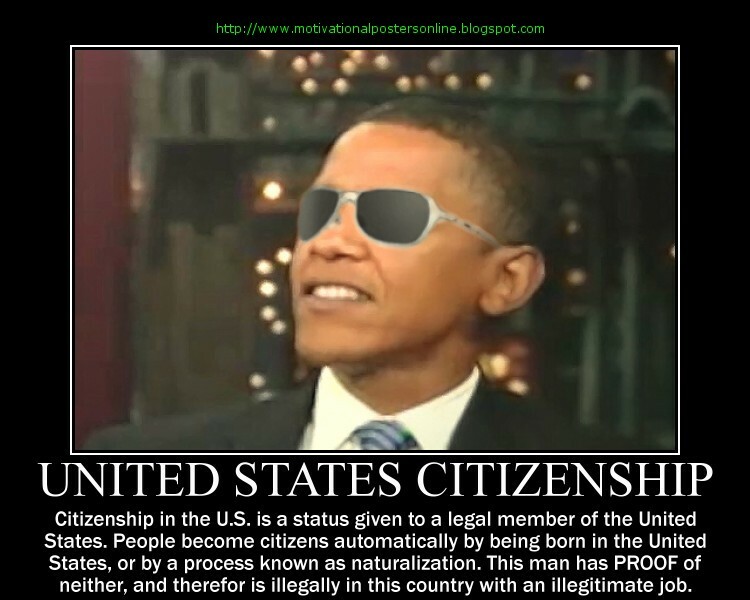 Remember - as of this date there has been not a single identifying document presented to the American public as to the uncontested identity of Barack Obama. This cannot be a good thing for the Obama administration or those who have been opposing efforts to look into Obama's qualifications and birth status. 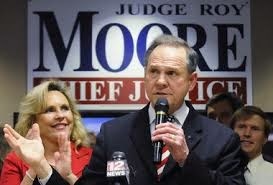 FINALLY - there is a Chief Justice of a state court ON RECORD who questions the eligibility of Barack Hussein Obama. The only document ever proffered by the White House is his supposed long-form birth certificate posted on the White House website in .PDF format. 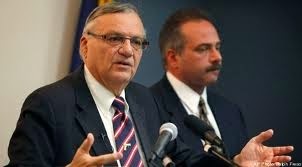 That document, however, has been attested as a 100% fake, forgery, and fabrication by lead investigator Mike Zullo working under the auspices of the Maricopa County Sheriff's Office - Sheriff Joe Arpaio. 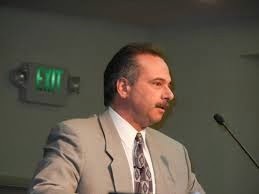 Our readers may also remember that Zullo submitted a 40-page affidavit, attesting to his findings of fraud, to the Alabama Supreme Court, in this particular case, at the request of court officials. That document also contained the fact that Reed Hayes, a digital document expert often employed by Perkins-Coie law firm, submitted a lengthy sworn affidavit to the Zullo investigation that the Obama long form birth document was a fabricated forgery. Perkins-Coie is the law firm that Obama has used in the past in the defense of his birth certificate questions. We will keep you up to date as this story progresses. Exclusive PPSIMMONS report - Copyright - all rights reserved. This article MAY BE REPRINTED as long as full credit and a link back to this original article is provided.